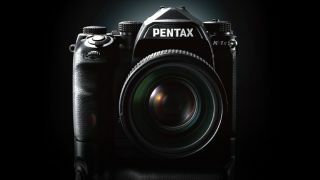 Sitting at the top of Pentax’s lineup, the K-1 Mark II is, by some distance, the most affordable flagship model offered by a DSLR manufacturer. Built around the same high-resolution 36.4MP full-frame sensor and PRIME IV processing engine found in 2016’s highly respected K-1 model, the addition of a new accelerator unit has enabled a wider native sensitivity range of ISO 100-819,200. Thankfully, this is accompanied by claims of improved high-ISO noise performance. Carrying such a high pixel count and a design that incorporates no anti-aliasing filter for sharper detail, this sensor appears perfectly suited to high-quality landscape imagery and studio work. However, with a continuous shooting speed of only 4.4fps, the Pentax K-1 Mark II falls short of becoming a go-to model for wildlife photographers, despite its impressive 87 seals for weather resistance and rugged construction that may otherwise have helped endear it as such. The K-1 Mark II’s 5-axis Shake Reduction II system is not just on hand for helping to steady videos ands images to the tune of five stops of shutter speed, but it's also what makes the camera's Pixel Shift Resolution System II function possible. This feature, which is usable hand-held shooting for the first time, moves the sensor fractionally as it takes four captures, compositing them into in a single image with better colour accuracy, detail, and resolution than would be present in a conventionally captured image. The camera has a large 3.2in rear display with a 1,037K-dot resolution, and while it's not touch-sensitive, it does at least have a unique flexible-tilt design that allows it to be adjusted to a variety of shooting angles for comfortable high- or low-level use. This is partnered with a top-panel reference LCD for easy setting confirmation at a glance, while an optical pentaprism viewfinder with approximately 100% coverage of the frame sits next to it. Only able to record Full HD video to 30p, its lack of serious video functionality means this is very much a device for those who are predominately interested in shooting stills. A fairly unique feature among current DSLRs, however, is GPS, which not only allows for the recording of location information in files, but is also essential for the device’s effective Astrotracer functionality for streak-free astrophotography.